Why do we want to improve Valkyrie? While having a very versatile moveset with lots of options, the Valkyrie’s mix-ups were riskier than they were rewarding, and it was very difficult for her to shine in 1vs1 situations. For example, her Shield Crush didn’t confirm any damage, and doing damage after a Sweep put her at risk of punishment. For these reasons, she has been under-performing for quite a while now and we wanted to address it in Season 7. Before the update, Shield Crush was a risky option for very little reward. It didn’t guarantee the Valkyrie any damage even if it hit, and if the opponent dodged they could punish her easily with a Guard Break. With the Season 7 Update, when Shield Crush hits, it allows the 2nd Light in her chain to hit as well. Furthermore, we’ve shortened the recovery time to 600ms (from 900ms), which allows her to Counter incoming Guard Break attempts. We now only allow Valkyrie to access the Shield Crush by cancelling a Heavy – she can no longer launch a Shield Crush after a Heavy Attack. We think that the ability for Shield Crush to now guarantee a Light Attack will ensure the move is worthwhile. Before the update, there were situations in which your opponent knew for certain that if Valkyrie launched a 2nd attack, it would definitely be a Light and the opponent should Parry on reaction to the Red Attack Indicator. With the Season 7 Update, that’s no longer the case – now any strike can be a Light OR a Heavy. This should make your Light Attacks more dangerous. Further, even though we removed the Shield Crush as a 2nd hit in the Chain, these new options should allow Valkyrie players to continue to be creative within the Chains. Before this update, the Spear Sweep was more reactable, and the follow-up Heavy Opener would land while the opponent was standing up and so wouldn’t cause a hit reaction – making the situation more threatening for the Valkyrie than necessary. With the Season 7 Update, we’ve increased the speed of the Spear Sweep strike. This should help Valkyries land it more often. Before this update, Valkyrie players who landed a Spear Sweep were able to attack, but this attack would be unsafe as it landed while the opponent stood up – meaning the Valkyrie was in danger of being punished here. This new move Spear Sweep Punish allows the Valkyrie to hit the opponent safely. It does remove her ability to loop back into the chain – but she can still loop by doing Heavy Finisher > Shield Crush instead of Spear Sweep. Before the update, the Shield Tackle could be charged, retain Full Block Stance during the strike, and Unbalance the opponent. It could also be cancelled directly into Dodge Forward Light. With the Season 7 Update, we’ve removed these abilities. Instead, you can still hold the Shield Tackle in place, but there is no charged version anymore. 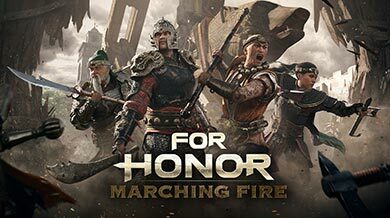 The reason for this is that we feel this is a very strong ganking tool – but now that we’ve made Valkyrie much more efficient in other areas of combat, we felt it would be much too powerful on a strong hero. Feedback from the Technical Test Server (TTS) – and our Live Update! We heard a lot of feedback from players of the latest build we put on the Technical Test Server (TTS) – thank you! We always find feedback helpful, and based on this, we have added a number of buffs to the Valkyrie that players have suggested. 2nd Top Light is now 400ms (sped up from 500ms). Reason: we want to ensure that her Chains are sufficiently dangerous, and this speed increase will help with that. Sweep Punish now deals 35 damage (increased from 25). Reason: Spear Sweep Punish was a bit underwhelming at 25, since it does end your Chain. Because it replaces what used to be a Heavy Opener, we compensate the loss of ability to return to the Chain with better damage up front. We feel that Valkyries were not landing much after the Heavy Opener in upper-level games before, so this damage increase should represent a higher damage output than the old behaviour could reasonably net. Zone Attack Strikes now both deal 20 damage (up from 15). Guard Break Miss Recovery's movement has been standardized with the other heroes. 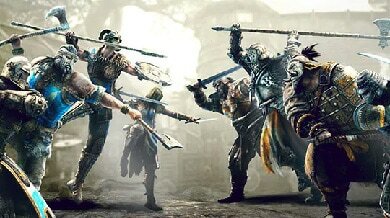 Reason: there was a bug that caused Valkyrie to move forward more than everyone else on a missed Guard Break, which meant she would often move into a punishable range more often than other heroes. 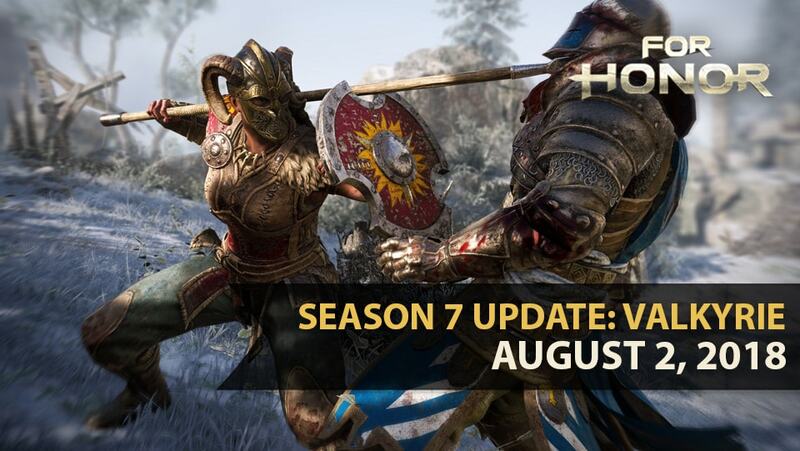 We have also updated the Warden in our Season 7 patch. Read up on those changes here! See you on the field of battle!